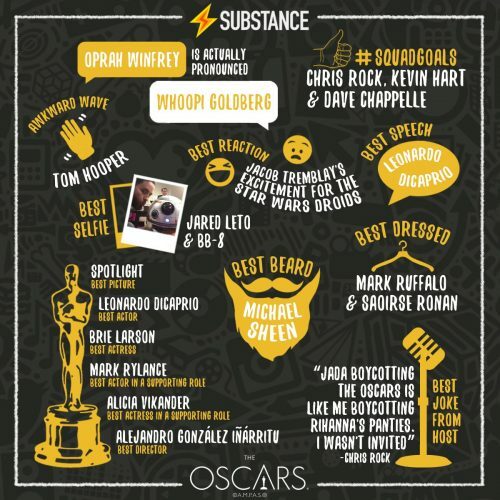 Yesterday saw the 88th Annual Oscar ceremony and our friends over at Substance Global have done a great alternative Oscar infographic. Not only that, they have also done a great thinglink version. It’s a nice take on the, mostly, boring ceremony.